The Economic Opportunity Institute’s mission is to build an economy that works for everyone by advancing public policies that promote educational opportunity, good jobs, healthy families and workplaces, and a dignified retirement for all. Washingtonians have sent tens of thousands of emails and made hundreds of visits to legislators with the simple message: a new baby, ailing parent, or cancer diagnosis should not mean financial calamity. 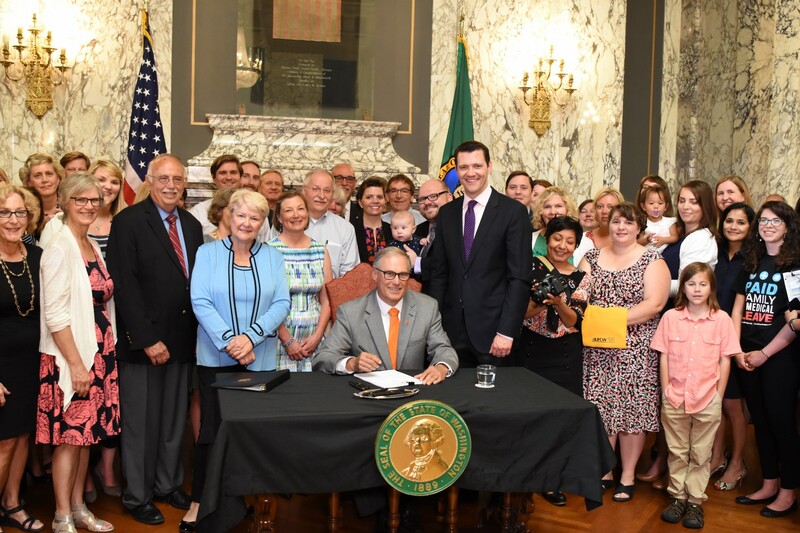 On June 30, 2017, the Washington Legislature responded, passing a comprehensive paid family and medical leave program with strong bipartisan support, signed by Governor Jay Inslee in July. The Washington Work and Family Coalition, convened by EOI, had been working towards this day for more than a decade. This was made possible by EOI’s research and the power the coalition of labor and community partners built through organizing city- and state-level campaigns for paid sick days and other issues. 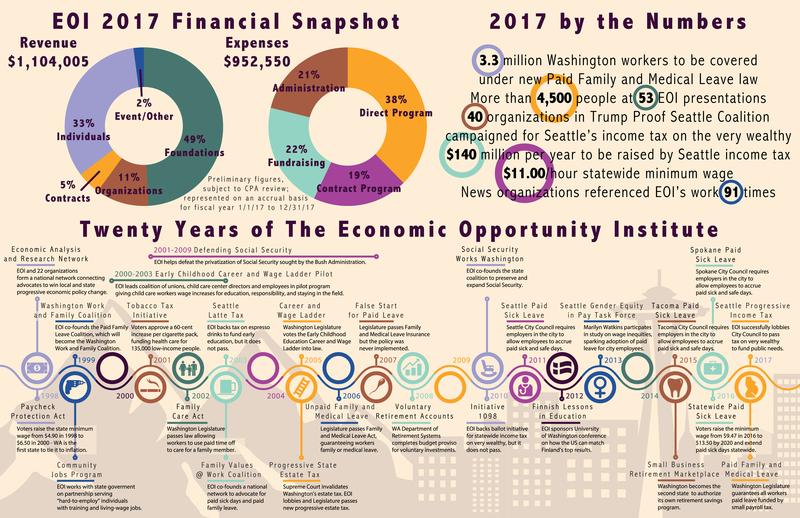 Just a few months after EOI and the Trump-Proof Seattle Coalition proposed a tax on the wealthy, the Seattle City Council unanimously passed a progressive income tax on July 10, 2017 to help finance priorities like ending the homelessness crisis, providing transit, offsetting federal budget cuts, and reducing current regressive taxes, such as property, B&O or sales taxes. The legislation will place a 2.25 percent tax rate on income over $250,000 a year for individuals, or $500,000 for married couples filing jointly. The tax will not affect any income earned below those thresholds. 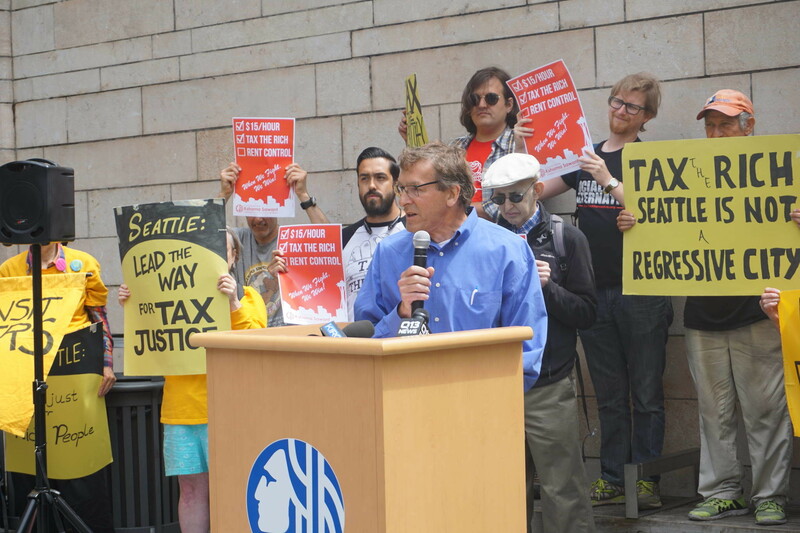 It is currently working its way to the Washington Supreme Court, where the city and EOI seek to overturn a 1930s ruling limiting progressive taxes.